What would the holidays be without music? We are blessed to have so many opportunities in our area to enjoy church and school choirs, band concerts, and dance recitals. The wonderful Christmas concerts put on by the talented musicians from the area schools and by West Shore Community College are not to be missed. In addition, there are dance recitals and holiday plays to put you in a festive mood. - OJ Middle School & LHS Choirs Concert, 7:30pm, Ludington. - Ludington 5th Grade Talent Show, Foster School, Ludington. - MCC Middle School Choir, 7th/8th Grade Band & Beginning Band Concert, 7pm, AO Carlson gymnasium, Scottville. - Christmas by Candlelight Concert, 7pm, Centenary United Methodist Church, 82 S. Hancock in downtown Pentwater. - MCC High School Band and Choir Concert, 7:30pm, AO Carlson gymnasium, Scottville. - Mason County Eastern band concert, 7pm, MCE High School Gym. - Victorian Choral Concert by Manistee Choral Society, 7pm, First Congregational Church in Manistee. 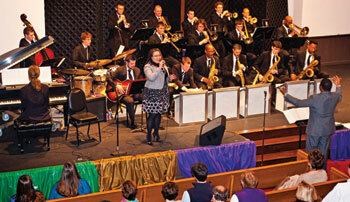 - WSCC Jazz Band, 7:30pm, WSCC Center Stage Theater, Scottville. - "We'll Be Home for the Holidays", annual program of favorite holiday tunes and tales, 7pm, Ludington Area Center for the Arts. - LHS Band Concert, 2pm, Peterson Auditorium, Ludington. - Annual Christmas Concert,, 6pm, First Baptist Church of Pentwater. 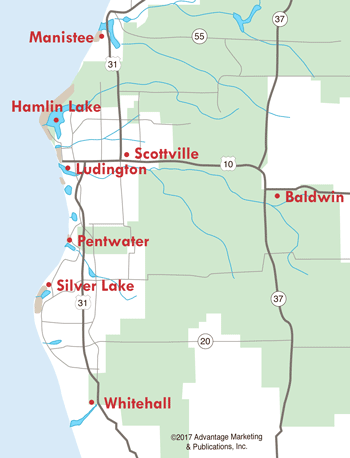 - St. Lucia Festival of Lights, 6pm, Emanuel Lutheran Church, Ludington. - WSCC Gold Coast Chorale 7:30pm, WSCC Center Stage Theater, Scottville. - MCC Kindergarten Christmas Program 6pm, A.O. Carlson Auditorium, Scottville. - Hart Performing Arts Series, 7:30pm, Hart Middle School Auditorium. - OJ Middle School Band Concert, 7:30pm-8:30pm, Peterson Auditorium, Ludington. - Pentwater Elementary Music K-4 Winter Program, 6pm, Pentwater School. - WSCC Chamber Wind Symphony & Percussion Ensemble 7:30pm, Shelby High School Auditorium, Shelby. - Ludington Kindergarten Christmas Concert, 7-8pm, Lakeview Elementary School. - Manistee 8th, Jazz & MHS Christmas Concert, 7pm, Manistee High School. - Letha Fulton School of Dance Christmas Show, 1pm and 6pm, Peterson Auditorium, Ludington. - WSCC Concert Choir, 2pm, WSCC Center Stage Theater, Scottville. - Manistee Youth Chorus Concert 2pm, Ramsdell Regional Center for the Arts, Manistee. - Pentwater 5th & 6th, Junior High & High School Winter Concert,, 7pm, Pentwater School.